Heaven.. in my opinion is the place where you feel that you are satisfied and you are comfortable inside of it. Every page is the heaven for people that love car because it is the place where we can share how to care our car freely. That is why I called it Heavens of Car Lover. every page is the heaven for the car because it writes about how to care of them. That is why I named it Car Heavens. This blog containing tips about automotive, how to care your lovely car and maintaining the car at its peak condition in a simple way so that every body can do it by his own. Feel free to give comments about what I'm writing as it is one of the way that can make me improve the writing and meet your expectation. Is there anything you want to know? Tell me by typing at the comment, I will always read it and interact with the blog's readers. Finally.. I'm also at my process of learning especially in English because I comes from the country in which English is not spoken and use as daily language. I apologize if it is bother you, but promise will keep improving day by day. Many of people think that washing car is a simple thing.. get the shampoo, sponge, rag/towel, water.. done! Is it just as simple as that? It is not! You will not see the side effect in the very short term. But quickly around a year you will find your car painting become very old. It just not represent the actual year of the car. "I wash my car like this everytime, no effect in my car paint. It shine until today." It is because you without deliberate do the right procedure. 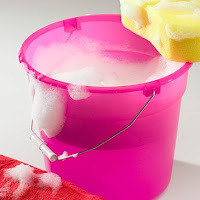 However you need to know what is good and what is bad procedure when you do washing ritual. So i will not saying that you are "without deliberate do the right procedure" anymore. So, here is the procedure..
Firstly, prepare water hose of course with its water from tap, chamois, towel (the best is microfiber towel, you can easily find it at store), sponge, harder sponge for underneath of the car, car shampoo, bucket, brush for your tire, and toothbrush. after that put your car at sun-free and dust-free place. the body of your car cannot be hot, such as it cannot just at below of the sun shine or it cannot just for use because the hot temperature of the machine will spread to the metal sheet above it which is the car bonnet. Hose all of the car body with water to eliminate the dirt that can be easily remove. Apply the shampoo from the top part until below. Do it part by part, such as if you apply shampoo for the roof then after that Hose it with water directly. This action is to prevent the shampoo to dry itself. You can make it become 2 or 3 parts in one time as long as you not let the shampoo dry itself on your car body. Then go to the tire part. Use the hard sponge and shampoo for the underneath part. Never use brush to clean the underneath part. Then use brush only at the tire. Remove the pebbles if it is seen on the thread of the tire. Use sponge for the rim. You can use toothbrush for some of the car part that hard to clean like the grill or the emblem. After that, Hose all of the car body thoroughly for the last time. Dry it with chamois immediately, do not leave your car in wet condition too long. After that use towel to make sure the car body is dry enough. That's it! with this procedure, you eliminate lots of side effects during car washing. Good Luck! You can read other useful tips about car in this site by clicking here. Car Wash - Why? Why? Why? This work by eegxo is licensed under a Creative Commons Attribution-Noncommercial-No Derivative Works 3.0 Unported License.